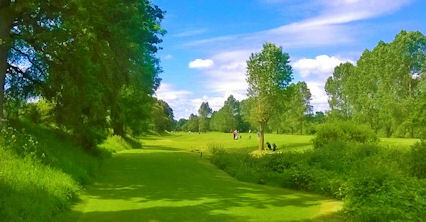 Kelso Golf Course was designed by James Braid and opened as a nine-hole course on the present site in 1913. 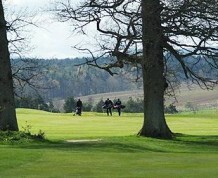 It was extended to 18 holes in 1980. 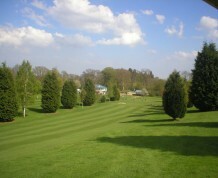 The present clubhouse was opened in the same year and extended with changing rooms in 1993. 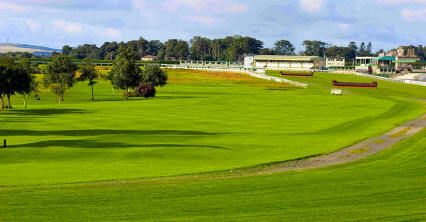 The parkland course is set within Kelso Race Course. It is generally flat, which makes for easy walking. 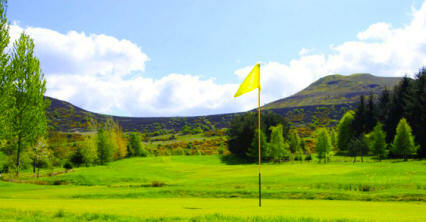 Although it is only just over 6, 000-yards, it provides a challenging test for every standard of golfer. 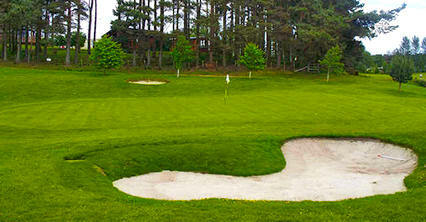 The 'Stank', an open ditch now thankfully paved, is a feature on many of the holes in the middle part of the course. 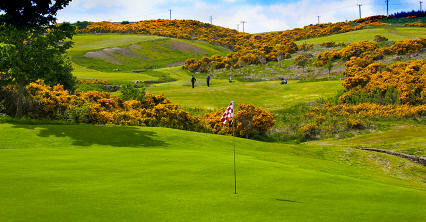 The feature hole is the 15th, a par three to an elevated green, regarded by many as the finest short hole in the Borders. On Kelso bypass from Hawick, Jedburgh or Coldstream follow signs for Edinburgh from Galashiels. Follow signs for Hawick or Berwick.